How to organize and run functions? I am very new to Mathematica. I thought I would try it out for my first assignment in my computer science class. Until now I have only used C-base languages including C#, Java, Objective-C, and Python. 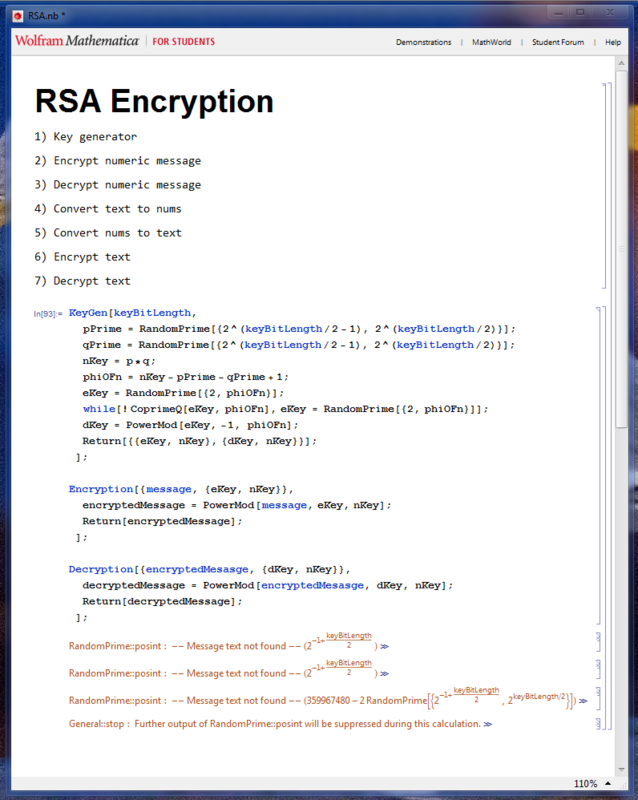 This assignment is to implement RSA encryption and I thought Mathematica would be perfect for this. My code works when it is run outside of functions, but for some reason I can not figure out how to make functions and run them properly. Can someone please explain what is wrong with how I have my document set up right now? Thank you. It seems like Mathematica is trying to run the document even though I have not called any of the functions. 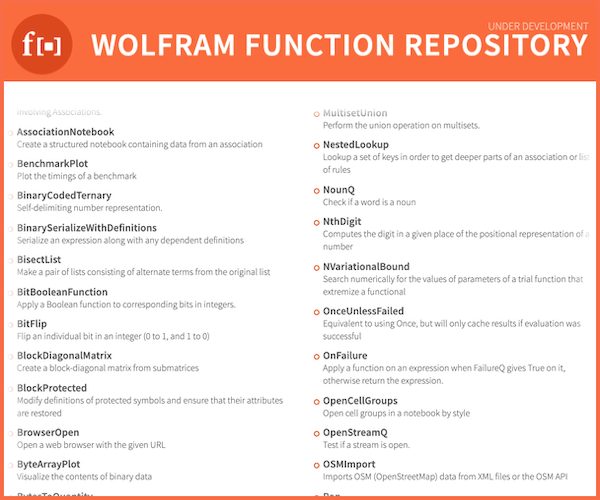 As R.M suggested in the comments, you should learn the way Mathematica defines functions. The best way I can figure out to do strings is a ToCharacterCode method. Let's redefine the encryption and decryption functions to handle these. Not the answer you're looking for? Browse other questions tagged programming functions or ask your own question. How to efficiently find parts of a string with beginning and ending specified?